Berna is a sweet, timid, and gentle girl.At the moment she is looking for a quiet home without other pets or kids, as she regains her confidence.She will also need to lose a couple of kilos as she is fairly overweight, so you will need to make sure she goes on a bit of a diet and gets plenty of exercise.If you’d like to help Berna into a loving home, please email us to apply. This is Talulah, tabby and white.She is a bit timid but coming on really well,she is a little sweet heart.Loves her playtime with her sisters and humans.She is also not overly keen on being picked up,but she will improve in time.Has been with cat friendly dogs with no issues and will be fine with other cats given slow introduction. Trixie is quite the affectionate tabby and white girl.Loves play time,smooch time,food time...or anytime really as long as the attention is on her.Her two sisters barely get a look in as she is always front and centre.Not overly keen on being picked up but should improve in time.She will smooch and demand attention and lay next to you.She is ok with other cats given time and slow introduction,she had also been with cat friendly dogs with no issues. This is Tabatha,super shy little tabby girl and also not too keen on being picked up,but confident given time she will improve.We have found out that lots of play time with string toys brings this girl out of her shell and realising us humans are not so bad after all.She has become very smoochy and loves pats and chin scratches.She is a quiet girl but takes everything in, she will be fine with other cats with slow introduction as long as they are not too boisterous.She has been with cat friendly dogs with no issues. Tabatha is in her foster home so if you would like to meet her, please send us a message. 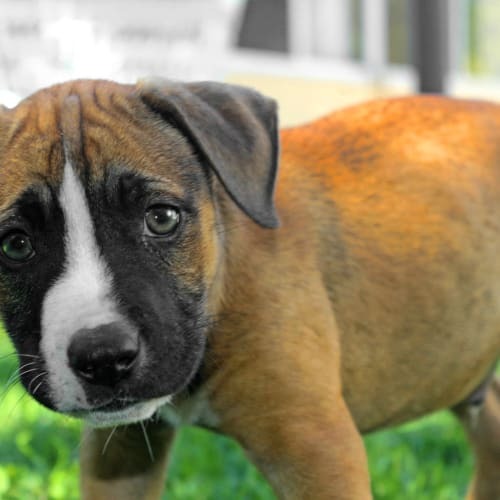 Name: George SP0150Age: Approx 8 weeksColour: Brindle & WhiteSex: MaleBreed: American Staffy xLocation: BaldivisA little about me:George is a beautiful American Staffy X who is currently seeking a home to call his own. He came into the rescue’s care after finding himself homeless with his siblings. 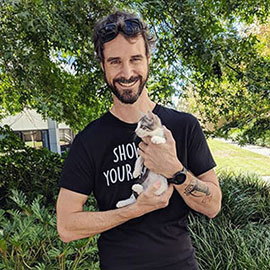 The rescue drove to a remote town to rescue him and his siblings and are arranging free de-sexing for their mother.A note from my foster parents:George is a social butterfly who loves human affection- we mean craves it! He likes to play and snuggle his toys. When he's not playing with his toys, he can be found exploring closely followed by his siblings.Due to George's young age he will need regular exercise and someone confident with training, so that his manners can be furthered. He will also sufficient stimulation to help prevent behaviours resulting in boredom. 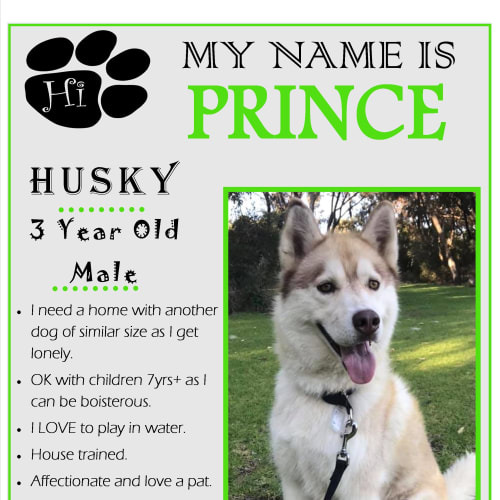 He is currently in care with both cats and dogs so with slow introductions will suit a household with them.Adoption fee is $875 and covers 1st vaccination, de-sexing, microchip, worming, flea treatment and vet check. Please note* adoption fee does not cover microchip transfer costs. The submission and payment of the form is the responsibility of the adopter.Our opening hours are 9am- 5pm Mon to Fri & 9am- 4 pm SatTo adopt George please contact us at savinganimalsmatters@outlook.comPlease understand that we are run by volunteers. We try to be as responsive as possible and will get back to you soon as we can. 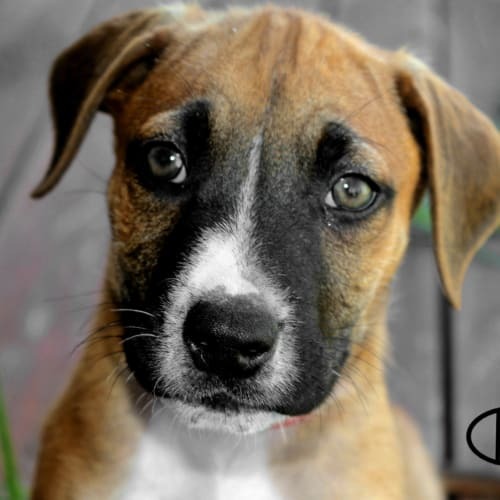 Name: Harry SP0149Age: Approx 8 weeksColour: Tan, Black and WhiteSex: MaleBreed: American Staffy xLocation: BaldivisA little about me:Harry is a gorgeous American Staffy X who is currently seeking a home to call his own. He came into the rescue’s care after finding himself homeless with his siblings. The rescue drove to a remote town to rescue him and his siblings and are arranging free de-sexing for their mother.A note from my foster parents:Harry is a social young boy who loves human affection- we mean craves it! He likes to play and snuggle his toys. When he's not playing with his toys, he can be found exploring closely followed by his siblings. Due to Harry's young age he will need regular exercise and someone confident with training, so that his manners can be furthered. He will also sufficient stimulation to help prevent behaviours resulting in boredom. He is currently in care with both cats and dogs so with slow introductions will suit a household with them. Adoption fee is $875 and covers 1st vaccination, de-sexing, microchip, worming, flea treatment and vet check. 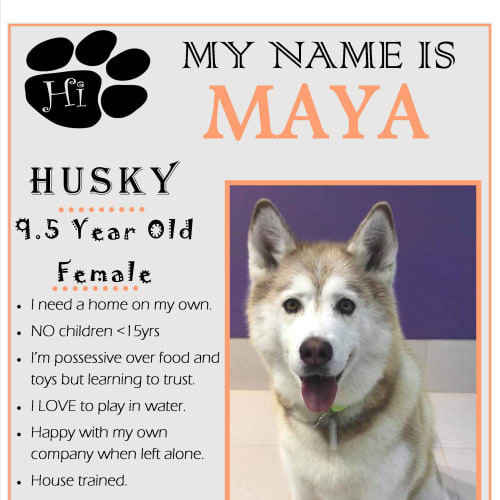 Please note* adoption fee does not cover microchip transfer costs. The submission and payment of the form is the responsibility of the adopter.Our opening hours are 9am- 5pm Mon to Fri & 9am- 4 pm SatTo adopt Harry please contact us at savinganimalsmatters@outlook.comPlease understand that we are run by volunteers. We try to be as responsive as possible and will get back to you soon as we can. 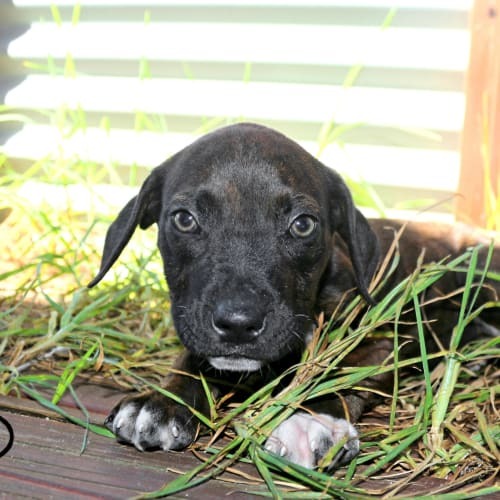 Name: Buddy SP0151Age: Approx 8 weeksColour: Tan, Black and WhiteSex: MaleBreed: American Staffy xLocation: BaldivisA little about me:Buddy is a gorgeous American Staffy X who is currently seeking a home to call his own. He came into the rescue’s care after finding himself homeless with his siblings. 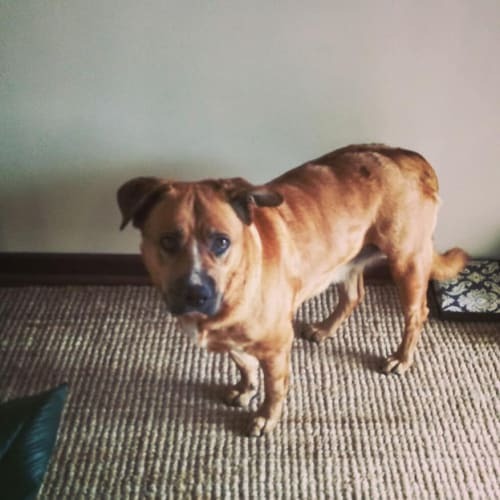 The rescue drove to a remote town to rescue him and his siblings and are arranging free de-sexing for their mother.A note from my foster parents:Buddy is a super social puppy who loves human attention- we mean adores it! He likes to play and cuddle his toys with crocodile being his toy of preference. When he's not playing with his toys, he can be found tackling his siblings- and that keeps him entertained for hours! 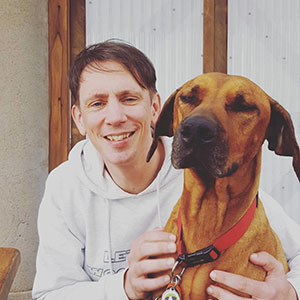 Due to Buddy's young age he will need frequent and consistent exercise and someone confident with training, so that his manners etc can be further developed. He will also need plenty of stimulation to help prevent behaviours resulting in boredom. He is currently in care with both cats and dogs so with gentle introductions will suit a household with them. He is a super sweet boy that is sure to capture your heart <3Adoption fee is $875 and covers 1st vaccination, de-sexing, microchip, worming, flea treatment and vet check. Please note* adoption fee does not cover microchip transfer costs. The submission and payment of the form is the responsibility of the adopter.Our opening hours are 9am- 5pm Mon to Fri & 9am- 4 pm SatTo adopt Arlo please contact us at savinganimalsmatters@outlook.comPlease understand that we are run by volunteers. We try to be as responsive as possible and will get back to you soon as we can. 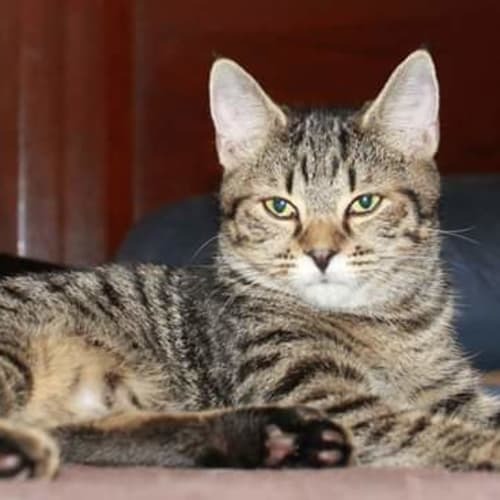 Name: Kev NK2735Age: Approx 4-5 months (14 weeks)Colour: BlackSex: MaleBreed: Domestic Medium HairLocation: HillarysA little about me:Hello everyone! My name is Kev and I am searching for a home to call my own... 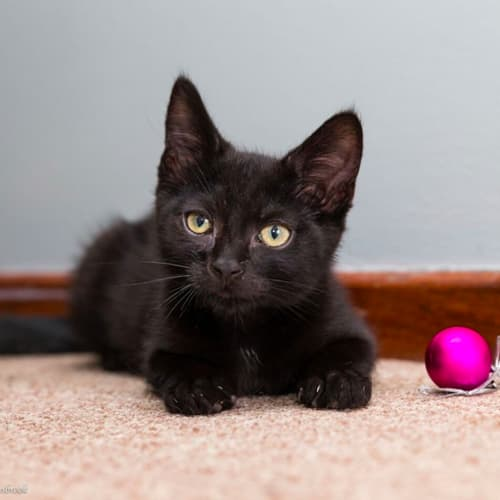 I am a stunning black kitten with a lot of love to give!A note from my foster parents:"Kev is a stunner who adores the company of other kitties and even children". He loves to play with his brother and sister~ kiss 'chasey' being his game of choice.His adoption fee is $50 and covers my 1st vaccination, de-sexing, microchip, worming, flea treatment and vet check. I will be ready for my forever home once I am 9 weeks of age and vet work has been completed. Please note* my adoption fee does not cover microchip transfer costs. The submission and payment of the form is the responsibility of whoever adopts me- a change of ownership form can be obtained from the lovely SAM team upon request.The rescue’s opening hours are 9am- 5pm Mon to Fri & 9am- 4 pm SatIf you think I could be the perfect match for you, please email the team at savinganimalsmatters@outlook.com. Please understand the rescue is run by volunteers. They will try their best to be as responsive as possible and will get back to you soon as they can. Name: Jewel NK2780Age: 14 weeksColour: TortieSex: FemaleBreed: Domestic Medium HairLocation: MindarieA little about me:Hello everyone! My name is Jewel and I am searching for a home to call my own... that is, one that can handle and appreciate my personality and all the fun that comes with it! 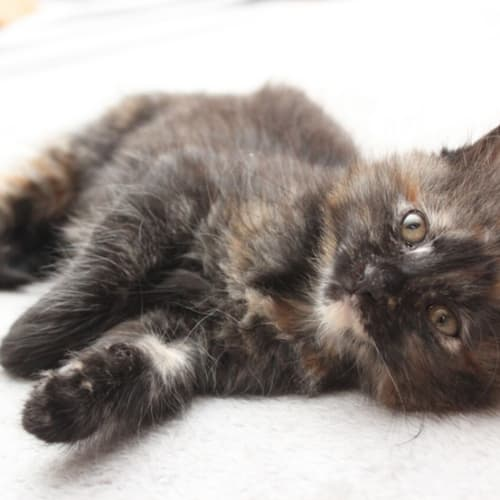 I came into care after finding myself homeless with my mum and siblings.A note from my foster parents:"Jewek is a beautiful girl with a stunning fluffy tortie coat with unique markings. 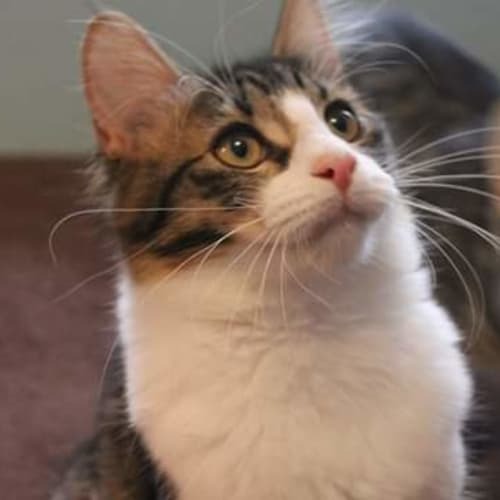 She loves to play with her siblings so will therefore suit a home with existing kitties". Not only is Misty a social butterky, but she also enjoys a spot of cuddling with her foster mum.His adoption fee is $125 and covers my 1st vaccination, de-sexing, microchip, worming, flea treatment and vet check. I will be ready for my forever home once I am 9 weeks of age and vet work has been completed. Please note* my adoption fee does not cover microchip transfer costs. The submission and payment of the form is the responsibility of whoever adopts me- a change of ownership form can be obtained from the lovely SAM team upon request.The rescue’s opening hours are 9am- 5pm Mon to Fri & 9am- 4 pm SatIf you think I could be the perfect match for you, please email the team at savinganimalsmatters@outlook.com. Please understand the rescue is run by volunteers. They will try their best to be as responsive as possible and will get back to you soon as they can. Name: Winter SK2978Age: 8 weeksColour: WhiteSex: FemaleBreed: Turkish AngoraLocation: BaldivisA little about me:Hello everyone! My name is Winter and I am searching for a home to call my own... that is, one that can handle and appreciate my personality and all the fun that comes with it! I have been raised from a young age after being found on my own, homeless and without a mum. A kind stranger found me and took me to a local pound where the rescue was contacted. 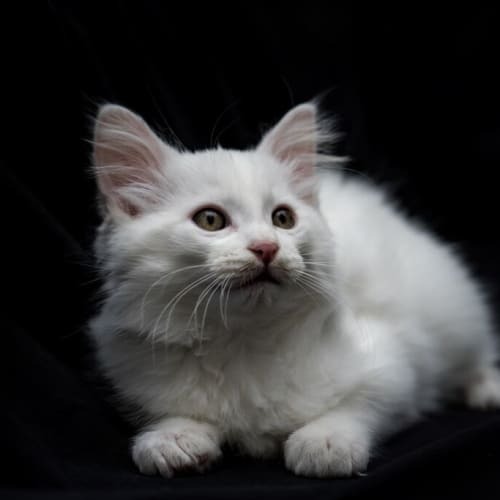 All of this has ensure I have a special relationship with people.A note from my foster parents:Winter is a gorgeous white kitten who adores the company of people and other kitties. She has a stunning tabby coat .... and if that doesn't capture your heart.... her sparkling eyes will do the trick.Winter is a super smoochy girl who adores the company of her foster family. 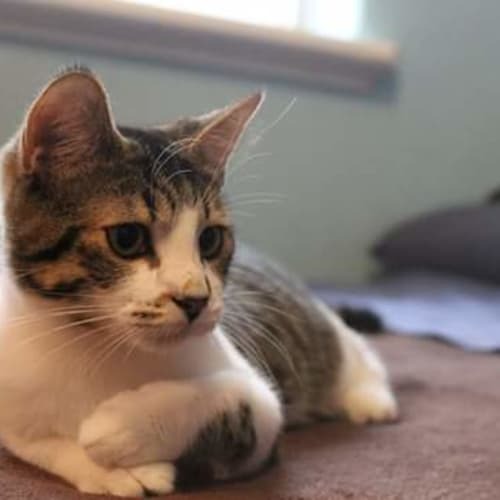 She's grown up with kids, other cats and even dogs~ making her the perfect addition to most family homes.His adoption fee is $275 and covers my 1st vaccination, de-sexing, microchip, worming, flea treatment and vet check. I will be ready for my forever home once I am 9 weeks of age and vet work has been completed. Please note* my adoption fee does not cover microchip transfer costs. The submission and payment of the form is the responsibility of whoever adopts me- a change of ownership form can be obtained from the lovely SAM team upon request.The rescue’s opening hours are 9am- 5pm Mon to Fri & 9am- 4 pm SatIf you think I could be the perfect match for you, please email the team at savinganimalsmatters@outlook.com. Please understand the rescue is run by volunteers. They will try their best to be as responsive as possible and will get back to you soon as they can.